We are excited to announce the details of 2018 KBF PARTNER PROGRAM. We have been working very hard to establish a program that accomplishes the goal of helping KBF grow while putting together a comprehensive plan to promote our Partner Organizations and put many of the opportunities in their hands and offer incentives that provide additional opportunities as they grow and offer new opportunities to their members. By putting much of the authority and responsibility at the Partner level, we create a stronger and more united community and offer real, tangible and increasing benefits for partnership with KBF and strengthens the relationship with its sponsors and hosts while opening the door for many more mutually beneficial relationships. 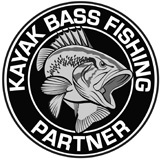 We are proud of our accomplishments at KBF and fully understand that none of them would have been possible without our Partners and their support in the kayak fishing community. We are looking forward to a successful 2018 Season and we are committed to working to help each and every Partner have the best possible season they can have as well. For 2018, we have established Partnership Levels to allow for new clubs and organizations to get involved and begin their growth with KBF while honoring the contributions of long term Legacy Parters with additional incentives and opportunities. Please take a look at the program and provide us with any feedback that you may through the KBF Members Only Group Page. Learn more about the 2018 KBF PARTNER PROGRAM. Stayed tuned in the next few days as we release the details of our 2018 AOY Program, 2018 KBF BONUS BUCKS Program and Guidelines. In addition, we will release the 2018 KBF TRAIL and 2018 KBF OPEN Series Schedule on New Year’s Day.